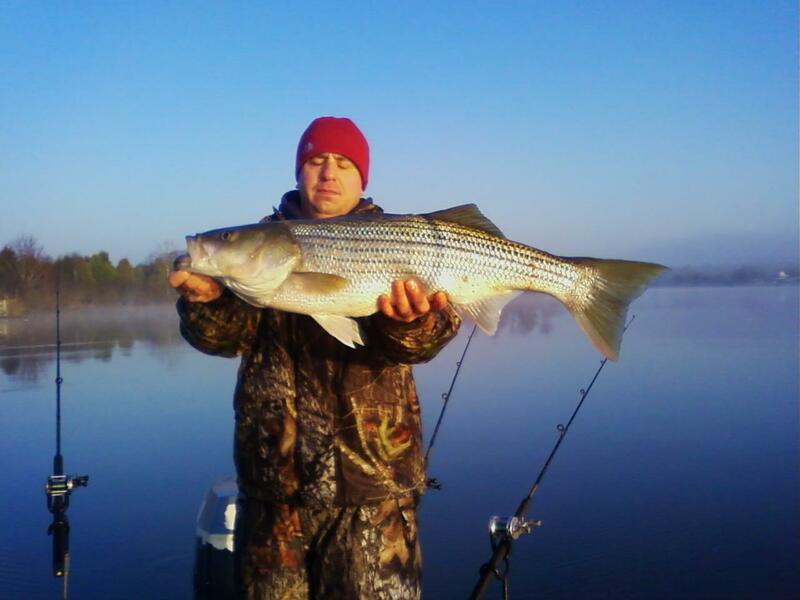 This 34 inch Striper was caught 30 minutes ago on the Lake by a friend of mine. The picture was sent by phone. You may notice Dixon's eyes are closed, he may be thanking God for letting him reel in this beautiful fish, allowing him to warm up on this cold morning and asking forgiveness for missing Church today. Congratulations!